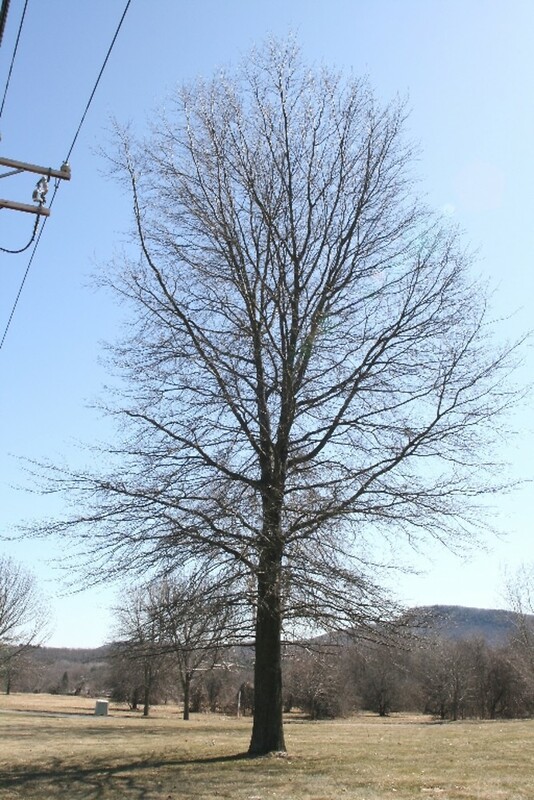 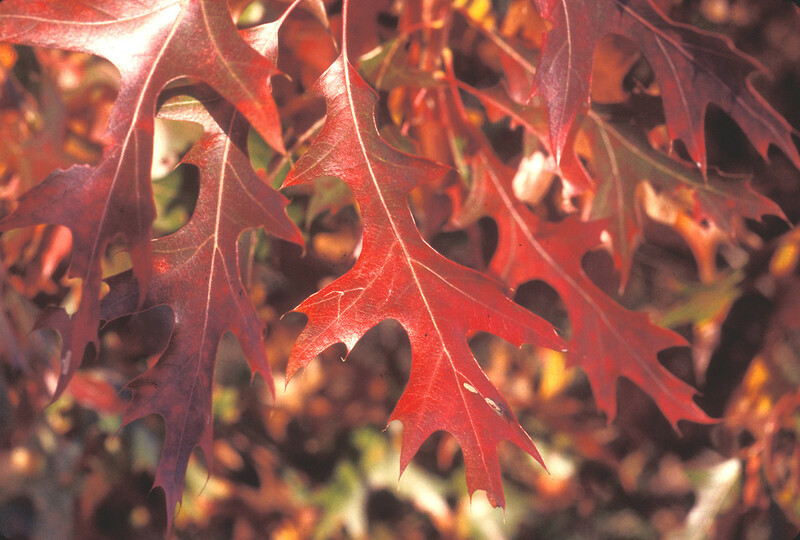 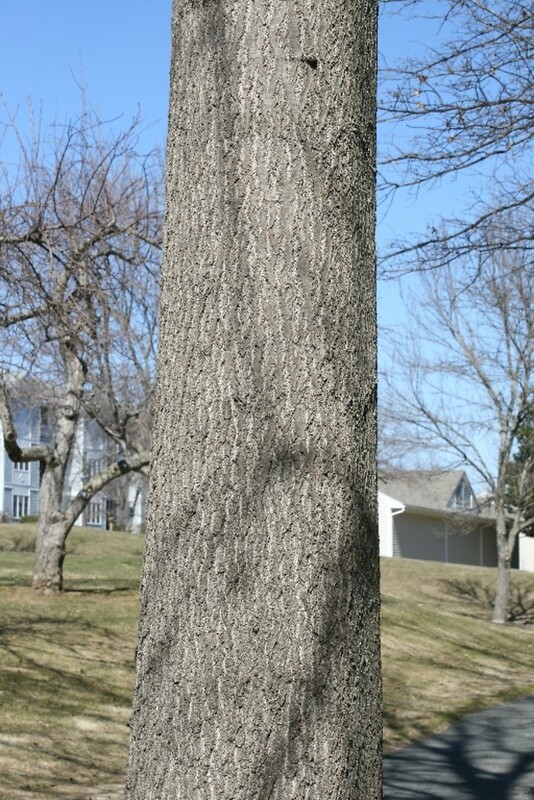 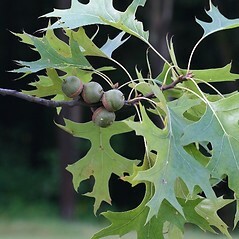 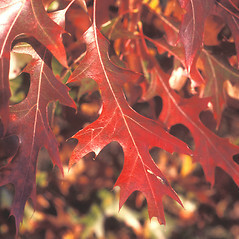 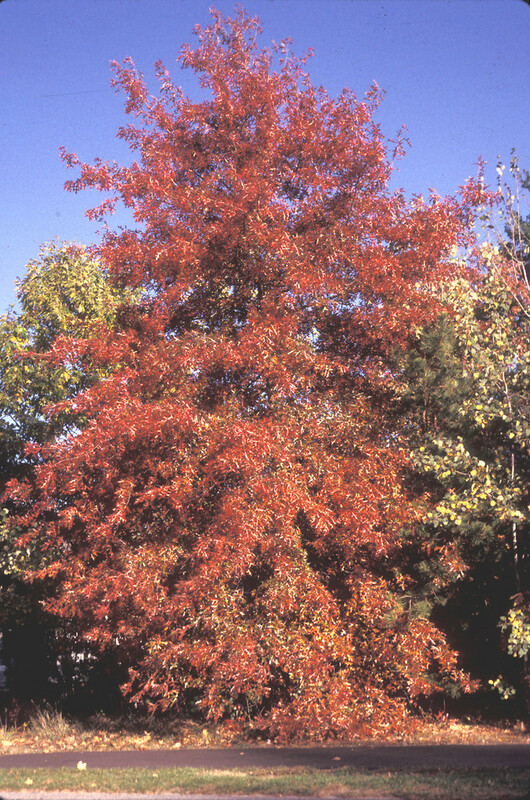 Pin oak is a fast-growing, primarily southern and mid-western species that reaches the northeastern edge of its range in New England; Maine populations are considered introduced. 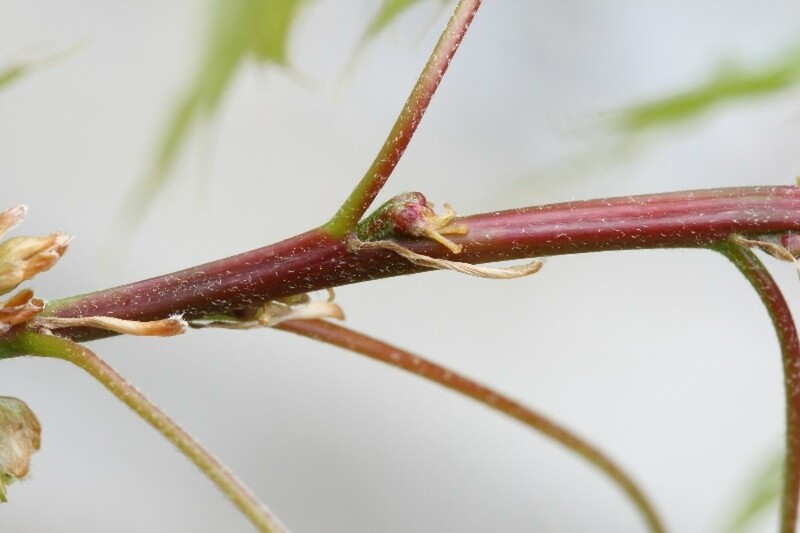 It gets its common name from its numerous, thin twigs. 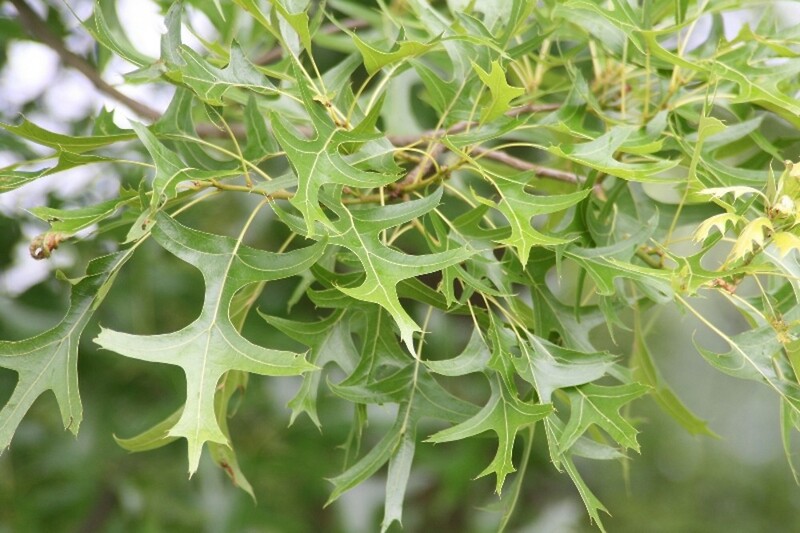 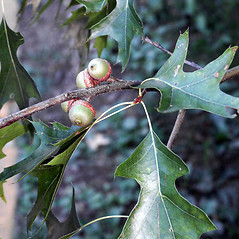 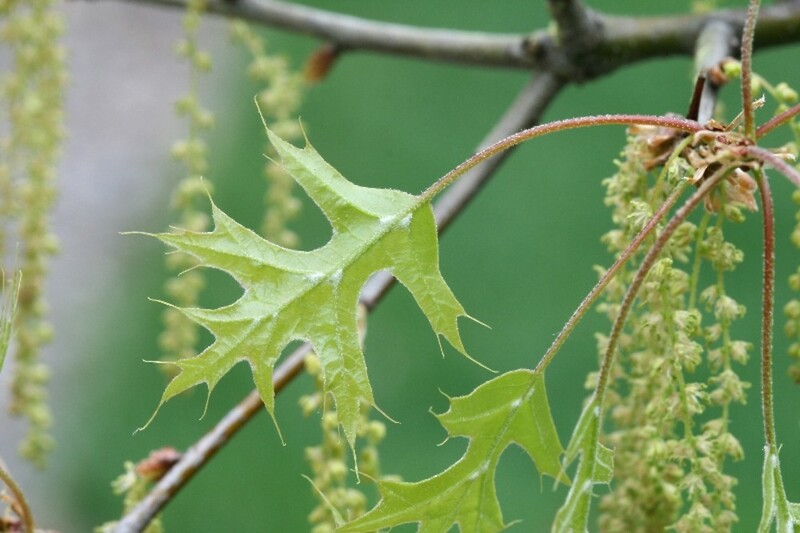 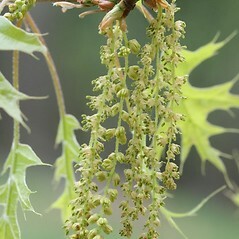 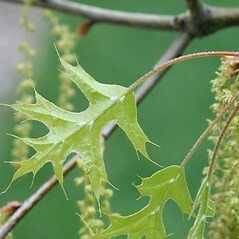 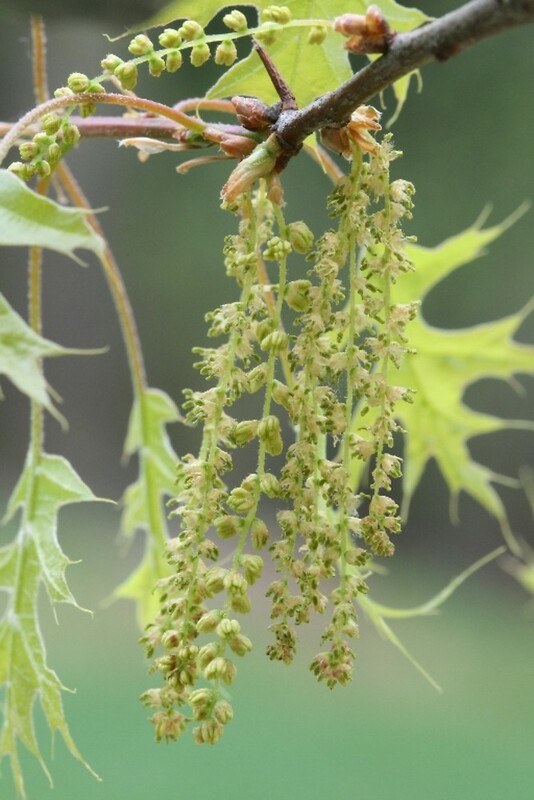 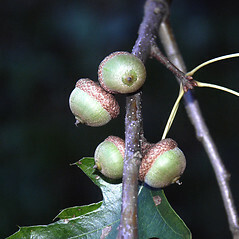 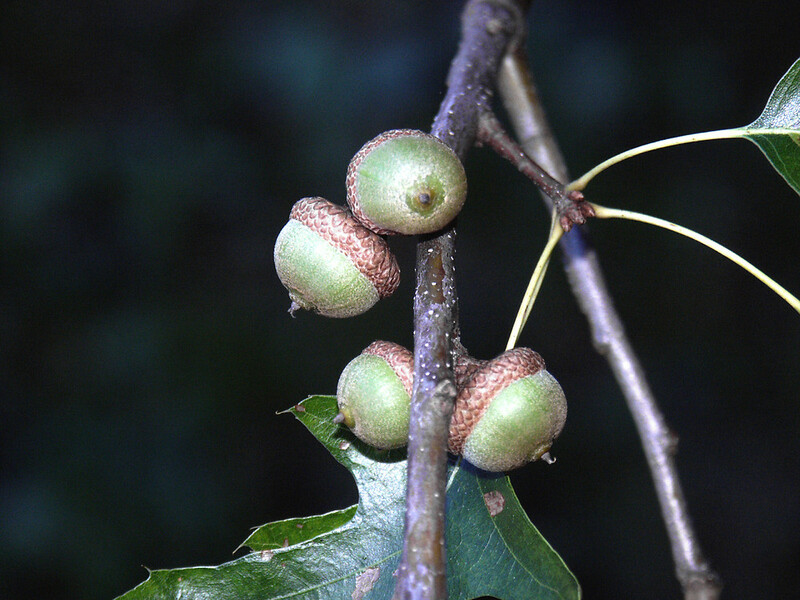 It resembles red oak (Q. rubra), but its leaves have much deeper concavities (sinuses) between the lobes, and its acorns are much smaller; also, the tips of its winter buds are blunt, whereas those of red oak are sharply pointed. 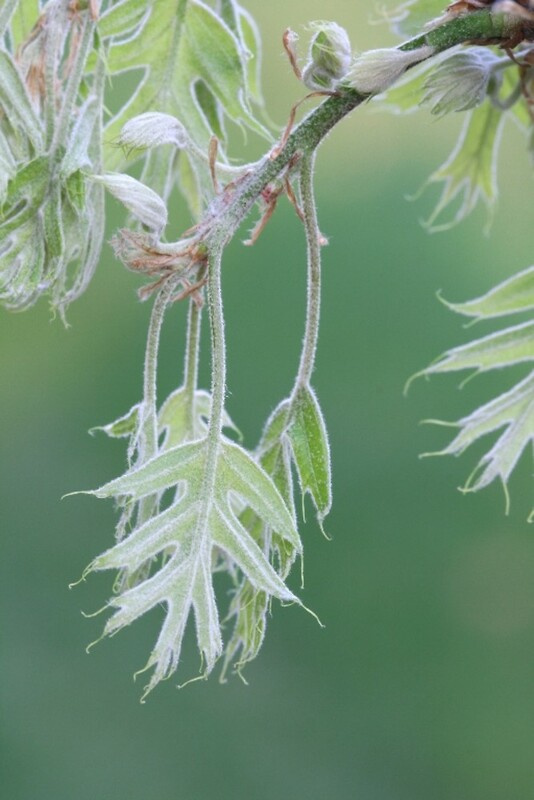 Caterpillars of the common gray hairstreak butterfly (Strymon melinus) eat the leaves of pin oak. 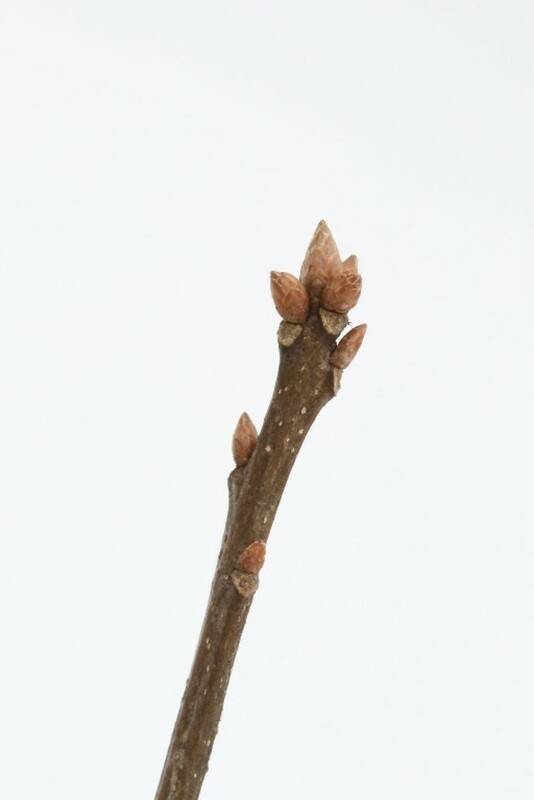 terminal winter bud pubescent in the apical half, noticeably 5-angled in cross-section, carpellate involucre concealing 1/3 to 1/3 of the nut, and nut with 1 or more concentric rings of fine pits near the apex (vs. Q. palustris, with the terminal winter bud glabrous or with a few hairs near the apex, terete to obscurely angled in cross-section, carpellate involucre concealing 1/5 to 1/3 of the nut, and nut lacking rings of fine pits near apex). 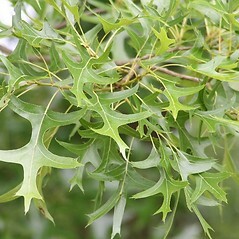 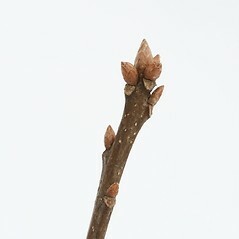 sinuses of leaf blade generally extending less than 1/2 the distance from the tips of the lobes to the midrib, nut 15–30 mm long, and terminal winter buds sharply pointed at apex, 4–7 mm long (vs. Q. palustris, with sinuses of leaf blade generally extending more than 1/2 the distance from the tips of the lobes to the midrib, nut 10–16 mm long, and terminal winter buds bluntly pointed at apex, 3–5 mm long). 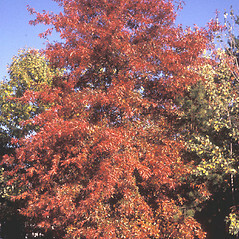 pin oak. 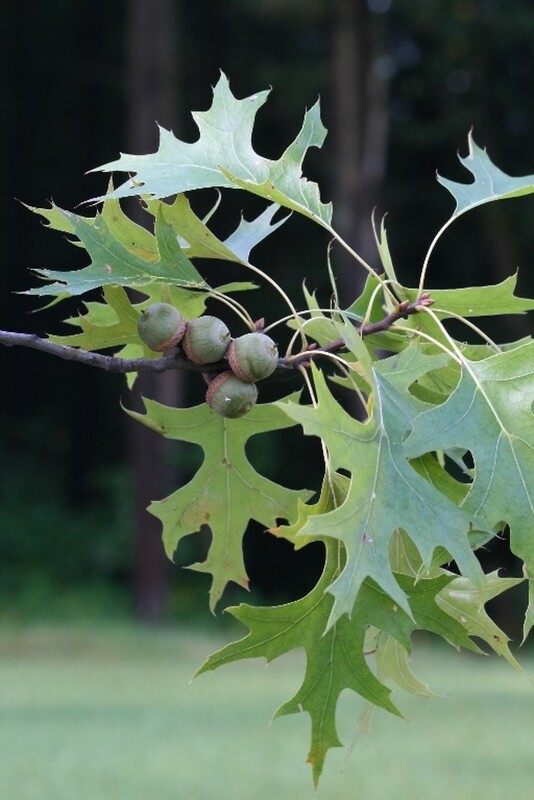 CT, MA, ME, RI, VT. Swamps, riparian forests, pond shores. 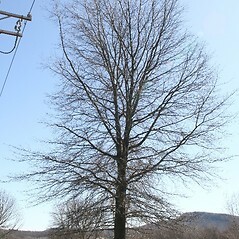 This species is native to southern New England but introduced (as a planting) in ME and VT.
10×16. 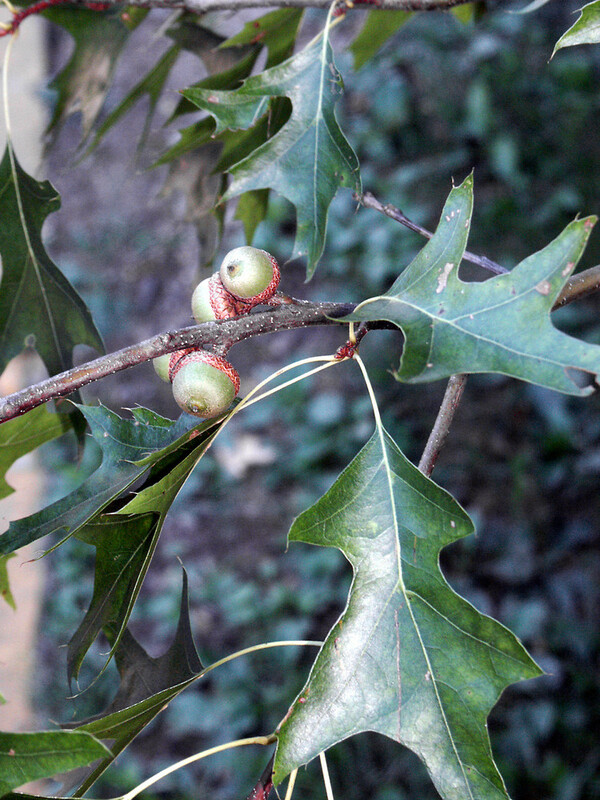 Quercus palustris × Quercus velutina → Quercus ×‌vaga Palmer & Steyermark is a very rare oak hybrid known from MA. 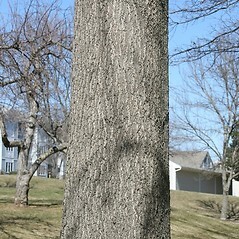 It tends to show the bark and growth habit of Q. palustris along with the involucral bracts of Q. velutina. 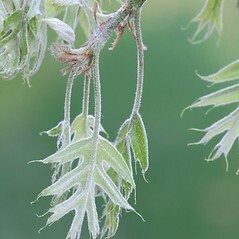 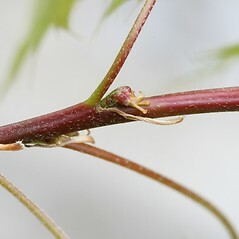 The leaf blades also show tufts of pubescence in the axils of the primary lateral veins.